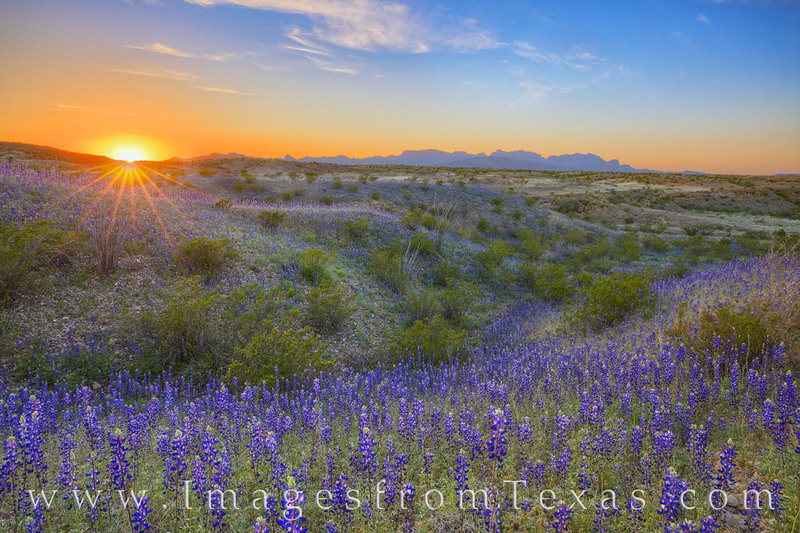 With the Chisos Mountains in the distance, the sun fades behind the distant mountains as bluebonnets dance in the evening breeze. This view comes from East River Road on the southeastern slopes of the Chisos Mountains in Big Bend National Park. I photographed the bluebonnets facing the both the Chisos and the Sierra del Carmen to the west for several hours and never saw another person. The solitude was glorious. Photo © copyright by Rob Greebon.